The daunting question plaguing humanity has always been what is consciousness? Is consciousness everything yet nothing specific at the same moment? Where did it come from? Some believe this is our soul. Yet, if this is our soul which inhabits our body, there still needs to be a biological mechanism for a soul to utilize. This then raises the question: Did humans always possess consciousness? Or did we suddenly become conscious over time as a species adapting to our environment? The existence of ancient cave drawings implies we were self-aware for millions of years. 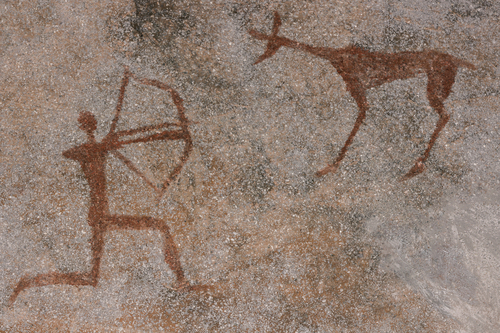 Here is a drawing of a human hunting. This clearly required awareness. Consciousness is by no means an easy concept to define. Consciousness has been described as the state of being awake and aware of what is happening around you, and of having a sense of self. 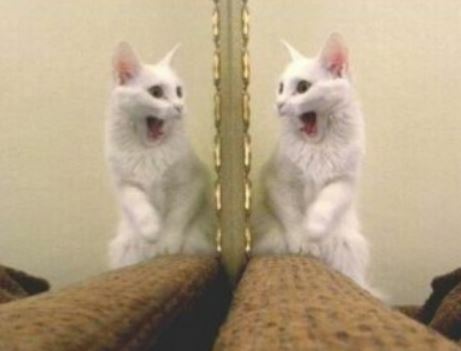 We can see animals view their own reflection and are not self-aware that it is themselves. This is known as the Mirror Test. Currently, there are nine non-human animal species who have passed the Mirror Test. However, not ALL individuals of each species pass. Therefore, it is possible that intelligence also varies among non-human species. Neurologists at the Allen Institute for Brain Science may have discovered for the first time what politicians lack – moral consciousness. Actually, what they discovered was a huge nerve cell that surrounds the entire brain of mice and is so closely linked over both brain halves that it could explain the origin of consciousness. The Neuroscientists suspect that the nerve cells coordinate signals from those brain regions to produce conscious thoughts. This new discovery was made possible by a new method for the first time. 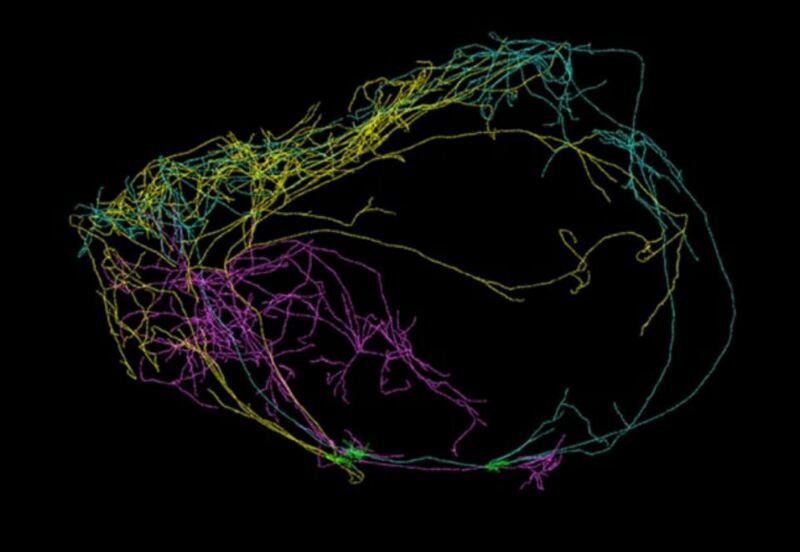 Neuroscientists now hope to find further discoveries of previously unknown brain structures in the future. In other studies, the region known as the claustrum appears to have an on-off switch to consciousness. When stimulated with an electrode, a woman’s consciousness was turned off and she just stared into space. When the stimulation was stopped, she regained consciousness and had no memory of the event. Perhaps we need to implant such electrodes in all politicians. It might come in handy to just turn them off when they get too greedy or want to start a war.